Adobe announced a suite of changes to its Creative Cloud offer, the online subscription-based service which Adobe launched last year. 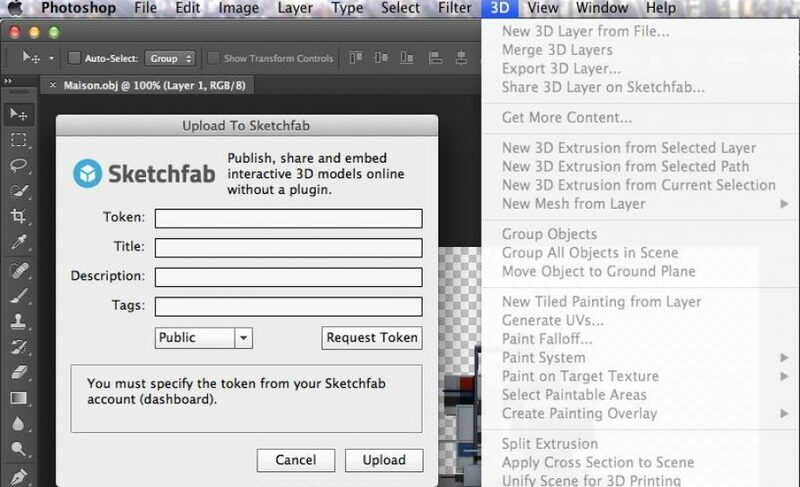 Embracing one of tech’s largest trends, 3D Printing & Imaging, Adobe has added support in Photoshop for 3D Images, allowing users to publish to platforms like Sketchfab, as well as to push 3D Designs to the Shapeway network (a marketplace connecting builders and 3D Printer owners) or directly to 3D Printers like Makerbot. This move is pretty smart by Adobe, given HP’s announcement of bringing a 3D Printer to market in 2014. In addition, regardless of whether 3D Printers have found their market yet or are still moving through the “Hype Cycle,” 3D Printers have proven themselves constant in their growth, as well as their utility. People are 3D Printing food, organs, metals, plastics & much more, and while some things might live & die as gimmicks, the idea that individuals are getting inspired to print objects represents a major shift in mind share for the 3D printing industry. Previously, it was being compared to the 2D Printing industry, which, apart from its namesake, seems to have very little in common. For Sketchfab, this is a great opportunity to integrate itself more intimately with entry points for 3D files. As they look to grow and become ubiquitous in the 3D Imaging space, they will need to look to be the one-stop shop for everyone working in the 3D space.